I know what you’re thinking. Where on earth has ze chef vanished? Why hasn’t he written anything in so long? Has he run out of steam? The answer to that last question, dear reader, is, er, yes, I was indeed running out of steam. ‘Tis the season to be jolly for you folks, but for those of us who work in the hospitality business, it’s peak season, which means we’re working harder than ever. Alas, I’m not at my creative best when the workload is so much. Nevertheless I decided to post this Indonesian eggplant (aubergine) recipe because it’s simple, it’s tasty, and it doesn’t require any exotic ingredients. If that’s not enough, a fringe benefit of this recipe is that the chilli sauce can be used as a tasty dip for a whole lot of things. Even if you don’t like eggplant, the tangy sauce is still useful. What’s more, once the sauce is made, the dish is 5 minutes away from being done. For most of my life, I hated eggplant, probably because the only way I had it was an overcooked pulpy mess known in India as baingan ka bharta. Only recently did I try some well-cooked eggplant and I converted. It reminds me of my hatred of mushrooms till I was 15. Ah, the scars left by early culinary experiences don’t always heal quickly. Better late than never, I suppose. Cut the eggplant into 1/2 cm thick slices. Rub with the light soy sauce, sesame oil, and sugar. Leave it to marinate while you prepare the sauce. For the sauce, put the shallots, garlic, chillies, dried shrimp (if using) and 1/2 tsp of the oil into a blender and make a paste. Heat a frying pan over medium heat. When it’s hot enough, add the oil. Wait for it to turn hot enough (till a small piece of garlic sizzles merrily without burning). Then add the paste you’ve just made. Fry the paste on medium heat for about 5 minutes till the oil starts separating from the paste. If this doesn’t happen in 5 minutes, add 2 tsp water to the mix. Now add the sugar and salt and cook for another minute. Add the tomato puree (or use finely chopped fresh tomato) to the paste along with a tablespoon of water and let it cook for another 3 minutes. Take the paste off the heat and empty it to a bowl. Now add the lime juice, half first and then gently adding the rest depending on taste. Keep checking the taste. The sourness of the lime and the sweet flavour of the tomato must be in the lead, with chilli coming in later. 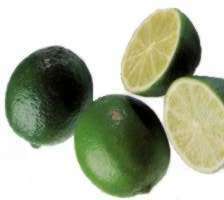 Sooner or later, you will hit a “sweet spot” with the lime juice. Don’t add any more after this. Right, so let’s cook our eggplant now. Get a skillet or shallow frying pan out, heat it, and the add the 1 tbsp vegetable oil. Move the pan around so the oil spreads all over the surface. Now add the eggplant slices and start pan-frying them. Cook them for about 3 minutes on one side, then flip and cook for another 3-4 minutes on the other side. There, it’s pretty much done. Take a nice pretty plate and spread about two teaspoons of the chilli sauce all over it. Then arrange the eggplant on the plate as you see in my picture. Liberally rub the remaining chilli sauce all over the eggplant. Remember the basil in the recipe? You can either chop it up fine and scatter it across the eggplant, or deep-fry it first and then do the same thing. Now scatter the remaining chopped tomatoes over the dish. You’re done, baby! A nice tasty vegetarian eggplant dish for you. Before you eat it, make sure you dip a french fry into the chilli sauce and taste it. You’ll want to make more of the sauce. A dish as simple as this should be easy for anyone to make, but I still expect that some people won’t be able to find some ingredients. No matter. Ze Chef can fix that. Let’s see… don’t have soy sauce and sesame oil? Fine, use salt and olive oil instead. The flavour will be different, but still good. Can’t find fresh red chillies? Substitute with sweet red peppers and 1/2 tsp of cayenne pepper instead. 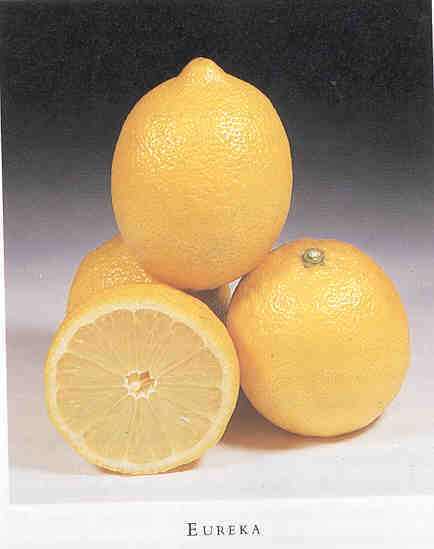 If you live in a place with a temperate climate and can’t get limes, use lemons and use more of the juice. The sesame oil and basil leaves are my own improvisation, but I like it better that way. You read our mind! :D We have been looking for a good eggplant recipe to complete one of our ideas. It is a pleasure to have you to help us out. Good to see you back. This sounds and looks yummy, how about a Sayur Lodeh recipe next? I have always created the same recipe minus soya sauce and tomatoes and using vinegar in place of lime and it does turn out prety nice. However, I am sure your recipe will be different. I am gonna try it in a week or so. Btw, what do you suggest as an accompaniement to this dish? Er… a non-cook here. What’s a shallot and how do I describe it to my veggie man? Anita, shallots are tinier onions with a more delicate flavour. If you don’t live in Asia, you might find it difficult to get the purple shallots used so extensively in South-east Asian cuisine. Foodsubs.com has a good description and a picture. I found your notes so interesting, fun to read and not a bit bland, keep introducing us to more such recipes. Please. absolutely love it! i am putting this recipe on my site too for everyone to love and share! I mabby we can exchange ideas of menu or recepies in future. Iam spciality is Malay cusine, trasitional Malay food. Been over 25 yrs in this industries. Hey…I finally visited Shiok and loved the food. Would like to try this one out. But where in Bangalore do I get dried shrimp? My husband & me are die hard fans of Shiok. We have eaten so many times there that we have to take a break for a while. Reading your stuff is really great – its like reading an interesting novel/poem/piece of art – i don’t know what but its just brilliant. tried the eggplant recipe. my girlfriend absolutely loved it. it was nice. what i cant help is burning the paste a bit, especially when you say leave it on fire for 5 minutes, and then add the sugar (which caramelizes whatever you do)… so how do you keep the color of the paste red after frying? Good morning. Play: Work that you enjoy doing for nothing. :) Thanks in advance. Sherrod. simply amazing recipe and so unlike the typical which you doubt ever has been made :) thanks! btw: i DID attempt to visit your restaurant, which was about 2 years back. it was on first floor i guess, near 1000 ft road. but it was so dark inside that i thought i have come to a wrong place.i have been reading ur blog regularly and now resolved to make a visit to ur shifted restaurant. good Luck!